We come to the Lord asking that he unite all people into the one body of Christ. That the Church may be faithful in its mission to bring glad tidings to the poor, freedom to the oppressed, liberty to captives, and the message of the Gospels to all who are in need. We pray to the Lord. The all members of Christ’s body may work in harmony for the betterment of the world showing care and concern for those who are vulnerable in any way. We pray to the Lord. For those who have gathered in Panama for World Youth Day, that they may recall the past with gratitude, embrace the present with courage, and build the future with hope that will strengthen the faith of all people. We pray to the Lord. That those whose livelihood is impacted by the government shutdown may persevere with optimism during the hardships they face and receive the assistance they need to overcome their difficulties. We pray to the Lord. That people who live with terrorism and who have endured its destructive effects may be granted peace and security through determination and a growing respect for all life. We pray to the Lord. That all people who have been baptized into the one body of Christ may use their diverse skills and talents to build up the Church as an instrument of Christ’s presence in the world. We pray to the Lord. That the gifts Fr. Christopher brings to his ministry as an apostle and teacher will be incorporated fully into the body of Christ so that there may be no division and all parts may share its joy. We pray to the Lord. That those who are ill and seem to be weaker parts of the body of Christ may be supported and cherished all the more as is necessary for the body to be complete. We pray to the Lord. That those who have died through illness, accidents, neglect, or violence may enjoy the peace and joy of heaven for all eternity. We pray to the Lord. O God, we offer these prayers and petitions asking that you provide for our needs and the needs of the world for we pray through Christ our Lord. Amen. TODAY WE GIVE THANKS THAT #4 PETITION WILL BE ABLE TO HELP THOSE WHO SUFFERED DURING THE GOVERNMENT SHUTDOWN! THAT THE STRESS THEY EXPERIENCED WILL BE GONE AND THAT GOVERNMENT WILL NOT DO THIS TO THEM AGAIN……..LET US HOPE THEY CAN NEGOTIATE A PEACEFUL SOLUTION! 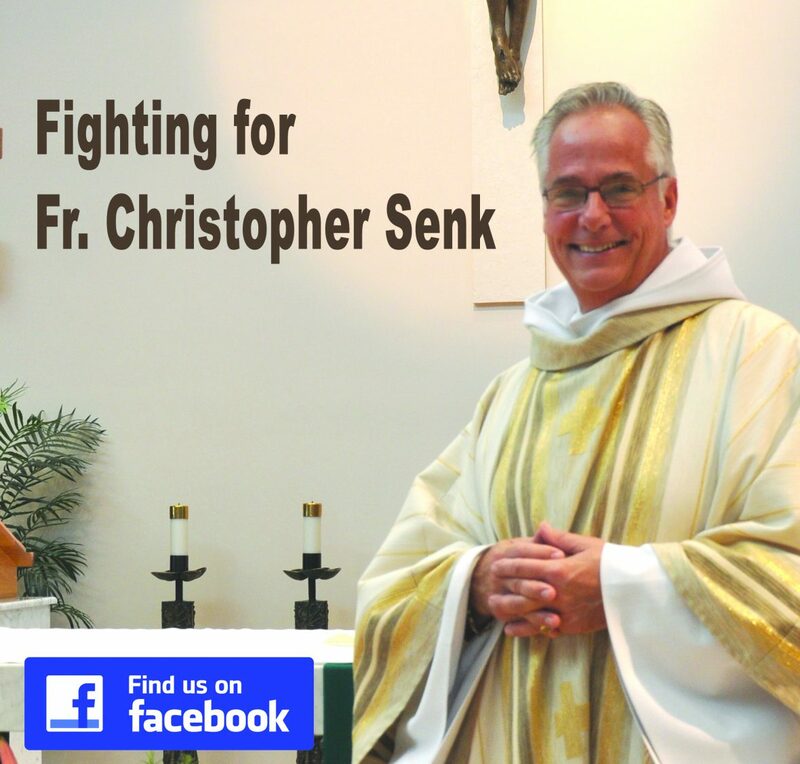 AS ALWAYS WE PRAY FOR FR SENK AND WE PRAY FOR OUR CHURCH –AND ALL PEOPLE TO KNOW THAT GOD LOVES US ND WANTS US TO DO BETTER GETTING ALONG. LET US SEEK THE COMMON GOOD OF ALL! AMEN.